Originally mooted by the Wolverhampton, Walsall & Midland Junction railway in 1872, the line from Castle Bromwich to Walsall was opened under the Midland Railway (who absorbed the WW&MJ in 1874). The station, pictured above in 1964 (photo: Michael Mensing), opened with the line in 1879. In 1882 the Brownhills Branch was added, which can be seen branching-off to the right in the above photograph past the station's goods shed which can be seen in the distance, and operated until 1884 as a goods-only line before beginning a passenger service from Aldridge to Walsall Wood and Brownhills. 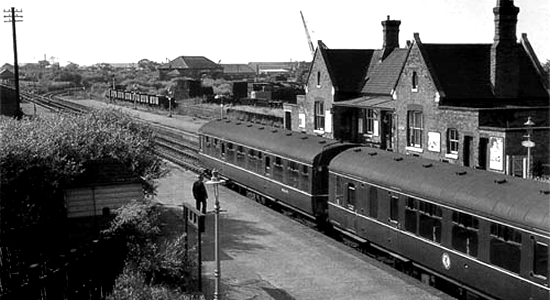 The Brownhills Branch closed to passengers in 1930 and was finally closed and lifted in stages during the early-1960s. The line upon which Aldridge station proper stands was closed to passengers in 1965 but still operates a frequent goods service. 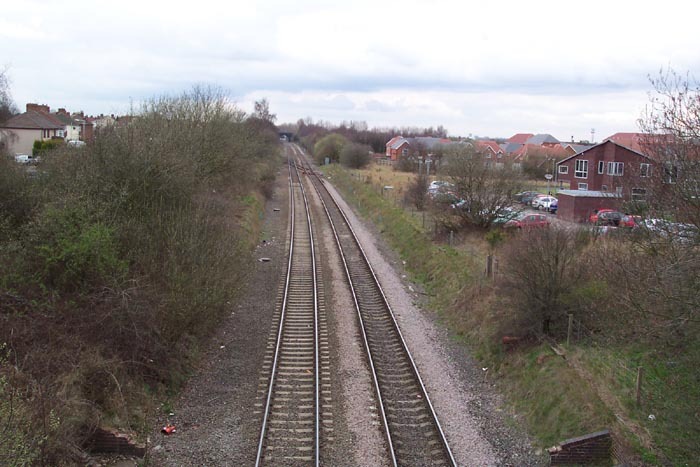 Above-left is a similar view to the 1964 shot taken from Station Road and as can be seen, nothing remains at the station site today. Above-right we have moved onto what is now the Aldridge Bypass and are looking towards Walsall. The station was in the foreground with the station building itself to the right: some remains of brickwork can be seen in the immediate foreground in the bottom-right and bottom-left hand corners of the shot. The most noticeable absentees from the 1964 photo are the Brownhills Branch which has been lifted and the goods shed. 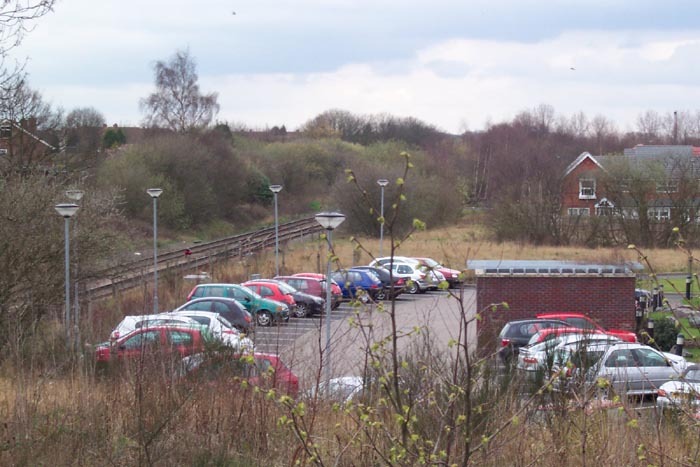 Above-left we are still on the Aldridge Bypass and looking at the car park where during its heyday we would have seen the rear of the station building. 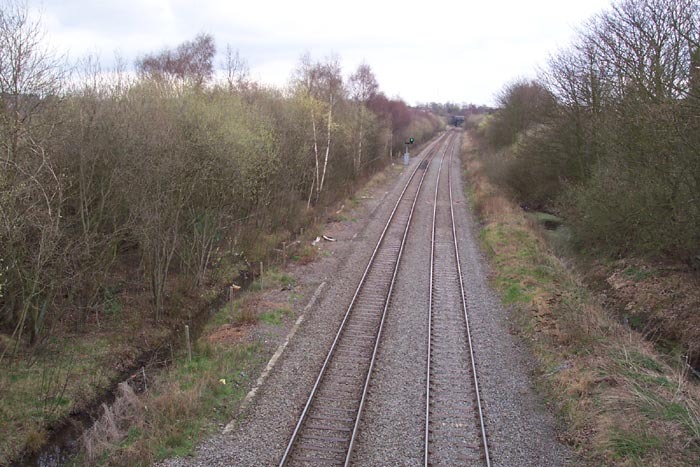 Above-right we are on the Dumblederry Road bridge looking back towards the station and the Aldridge Bypass: the Brownhills Branch would have curved to the left here (around the point of the signal post which can be seen more clearly on the enlarged photograph) and the goods shed would have been behind the shrubbery to the left a few hundred yards away. 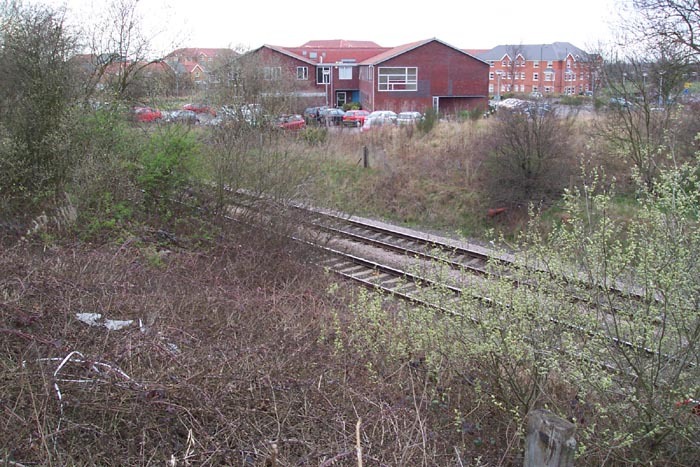 However, the area has been very well cleared and an industrial site and housing estate now occupy the site of the goods shed and straddle the pathway of the old Brownhills Branch.